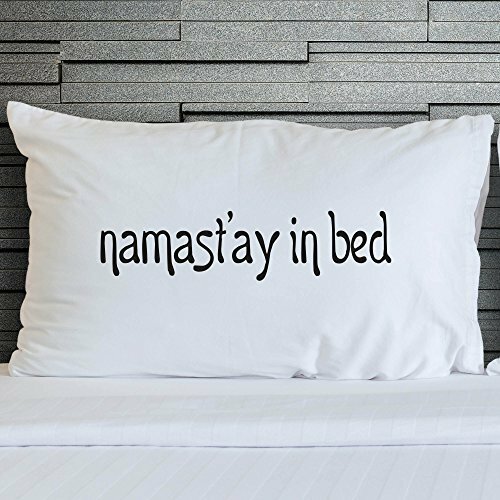 Pillowcases Novelty Funny Bedroom Bedding Namast’ay In Bed Pillow Cover WSD798 has the following specifications You will receive the pillowcase(s) with the design as shown in the display picture. Each pillocase(s) have been created by heat pressing a high grade flex vinyl onto the pillocase(s) so the text design will never fade. All can be machine washed on 40 degree cycle. The pillocase(s) get smoother and softer wash after wash.